What kind of Ford do toi own? Which car would toi rather drive? Milner Off Road have a great range of Ford 4x4 parts available to strengthen your vehicle ou toi can simply just get spares if something ever goes wrong. a comment was made to the poll: Which car would toi rather drive? a photo a été ajouté: 2015 Ford Focus III Sedan. 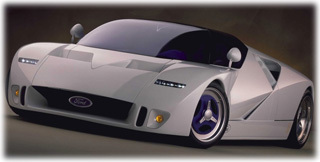 What an is this Ford GT90 Concept?